The relatively small changes to its lineup, following last year’s overhauled iPhone X, were widely expected by investors and the company’s shares ended down 1.2 per cent at $221.07. The strategy has been successful, helping Apple’s stock to rise more than 30 per cent this year and making it the first publicly traded U.S. company to hit a market value of more than $1-trillion. 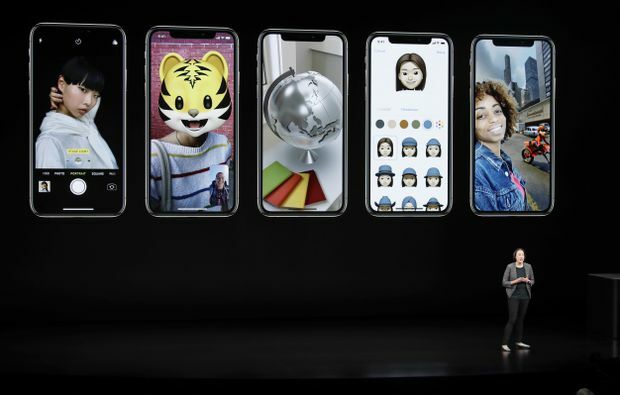 Kaiann Drance, Apple's senior director of iPhone worldwide product marketing, speaks about the iPhone XS during an event to announce new Apple products on Sept. 12, 2018, in Cupertino, Calif.